This year marks the 7th anniversary of the Fukushima Daiichi nuclear disaster, the most impactful nuclear accident of the 21st century. The tragic triple-meltdown occurred after a 9.0 earthquake, and the resulting thirty-foot tall tsunami, cut off power to the Fukushima Daiichi nuclear power plant. After the earthquake, all of the reactors on site SCRAMed, but the tsunami flooded the backup diesel generators. As a result, the operators struggled to remove decay heat from the reactors. Since the heat couldn’t be removed, three reactors suffered complete meltdowns, and a fourth reactor suffered significant damage. The excess heat also caused damage to fuel cladding, causing two hydrogen gas explosions that greatly damaged two of the reactors. 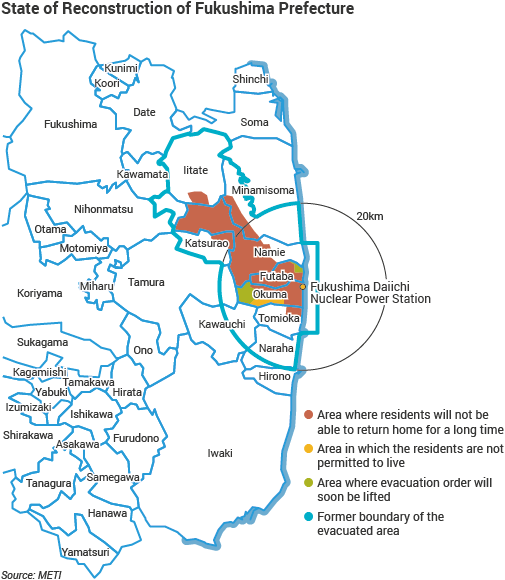 According to the World Nuclear Association, the Fukushima Daiichi disaster released a large dose of radiation into the surrounding environment, with one location 20 km from the site showing .266 mSv/day. In normal conditions the average person would receive .008 mSv/day from natural background radiation. 160,000 people were evacuated from a large area surrounding the plant, but no immediate illnesses or deaths were caused by the radiation release. Unlike Chernobyl, where the USSR decided to contain and abandon the core, the Japanese authorities decided to actively cleanup the site of the Fukushima accident. As reported by Japan’s Nuclear Regulation Authority, most sites around the reactors have reduced radiation levels by around 75% compared to their peak values. Japan has even developed new filtration techniques to help remove contaminants from the water on site so that it could be diluted and released back into the ocean. Called The Modular Detritiation System, it is the first economical filter system of its kind. In addition, Japan is working on new kinds of radiation resistant robots that can find and cleanup the three collapsed cores. While the cleanup process will most likely take a few more decades, Japan is constantly moving towards its goal of a complete cleanup. The International Atomic Energy Agency is a big part of Japan’s cleanup efforts. 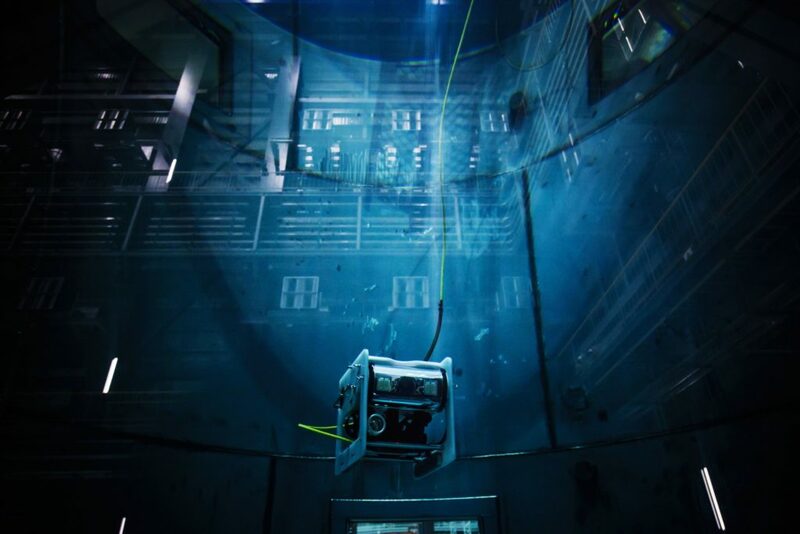 Right after the disaster, the IAEA sent a team to the Fukushima Daiichi site, where they collected vast amounts of data, including the statuses of reactors one through four. This not only helped Japan with potential cleanup solutions but it also makes sure the international community can learn from Japan’s experiences and efforts to make all current and future reactors safer. After Fukushima, many countries decided to review their nuclear industry. At a time when global reinvestment in the technology seemed likely, there was instead an international pause. Japan shut down all but 4 of the 54 reactors that were once online before the accident, and while many of these reactors have or will come back online, some will be permanently shut down and decommissioned. Germany even decided to phase out their nuclear power industry completely by 2021, shutting down 8 reactors immediately after the accident. In the wake of Fukushima, The European Nuclear Safety Regulators Group conducted an extensive review of all of its reactors and concluded that they needed to make improvements. These improvements were announced by the European Nuclear Safety Regulators group on April 26th, 2012, included conducting stress test simulations on reactors to see what happens when they are pushed beyond their design basis. They also concluded that more intensive regular safety checks were necessary, along with regular testing of containment vessels. All European reactors now have additional procedures to avoid or limit damage to their surrounding environment in case of release. The entire recommendation report was published on their website and can be found here. In response to these announcements, The Nuclear Regulatory Commision ordered 100 million dollars be spent on upgrades to the United States nuclear fleet. These consisted of three Orders necessary for safety of the United States fleet. First: make sure all reactor plants have the necessary equipment to cool the core in case of disaster, things such as water pumps, generators and large backup batteries. Second: put additional instruments in used fuel ponds in order to measure temperature and cooling water level. This helps notify operators better about the conditions of the pools. Third: 33 BWRs needed improved containment to provide more protection in case of large natural disasters. The harder containment decreases the chances that radiological release occurs, making potential cleanup and decontamination efforts much more feasible. In addition to these upgrades, the United States also added 6 sites around the nation with additional equipment that can be taken to an American Fukushima-like situation. These sites are emergency response centers and can get equipment to their regional reactors in under a day. The entire order can be found here. Even seven years later, the global nuclear industry still feels the impact of Fukushima. In 2011, many believed that the world was on the cusp of a nuclear renaissance, which would be an important step in fighting global climate change. The world needs nuclear energy now more than ever, and fear of another Fukushima is a huge barrier that keeps the world from deploying the technology it needs to recover from a century of fossil fuels. Yet, while the nuclear industry has stalled in many countries (among them Germany and the United States) other countries like China and India have steadily been investing more in nuclear power, giving the industry hope for a future where nuclear plays a much larger role on the global stage.